A week after release, much of the discussion surrounding Rime isn’t about the ruins or the mystery, but rather piracy. Players claim anti-piracy software slows the game down. Pirates say the newly cracked version of the game fixes that problem. Rime’s producers seem unsure if DRM caused performance hits, but Denuvo itself denies there is a problem at all. It’s a mess. Recognizing that reality, a week ago, a community manager stated on the Steam forums that if the game’s DRM was removed by hackers, they would publish a version without the restrictions. Sure enough, five days later, pirates cracked Rime. The mastermind behind the Rime crack is known as “Baldman.” Baldman has been tearing through the anti-tampering protection on numerous titles such as Prey and Sniper Ghost Warrior 3. Baldman claims that the removal of the game’s protections has vastly improved the game’s performance. Source: Reddit. Click to expand. The issue in question is loading and game performance. According to Baldman, Denuvo checks for numerous “triggers” when the game is loaded, to ensure that it is a legitimate copy of the game. Baldman said these checks also occur during gameplay with dozens of triggers being called upon per second of gameplay, accumulating “millions” of checks as playtime increased. This process allegedly slows down the game and negatively impacts performance and increases load times. While we cannot concretely prove the two are related, players have indeed noticed similar issues as the ones described by Baldman. A thread on NeoGaf, for example, looks at the game’s performance and offers tips for maintaining a consistent framerate. My colleague Nathan Grayson, who offered impressions of the game, also noted that the game’s initial load times are quite long. 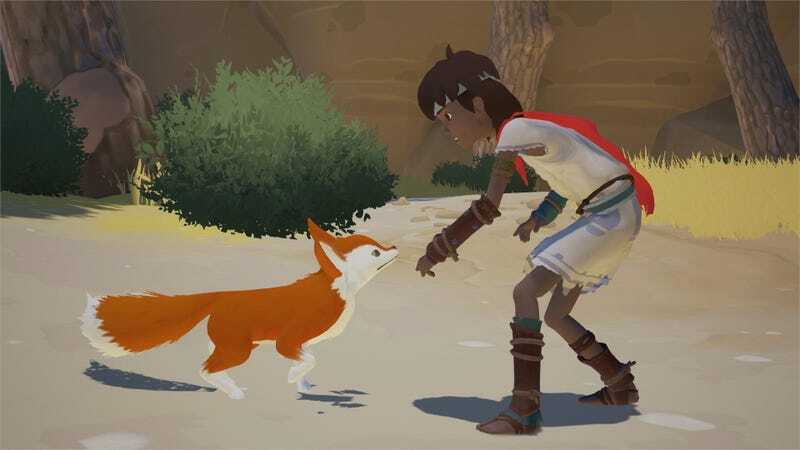 In a blog post, Rime producer stated that “The only thing that Denuvo is currently doing for us is checking to make certain that Steam’s (or Origin’s) DRM is still attached to the game. There is a small performance hit associated with this, but at this time we do not believe it is causing the problems that are currently being reported. We might be wrong.” Kotaku contacted Rime’s publishers and has received no comment. Denuvo, for its part, deny that DRM causes any issues at all. The narrative appears to be that hackers are taking up the battle to fix these supposed performance issues, a task they’ve been achieving faster and faster with each new game release. Update (10:40PM): Rime publisher Grey Box Games have confirmed in a blog post that they will be releasing a version of the game which does not use Denuvo’s anti-tampering protections.